Rev. William J. Morford graduated from Hobart College in 1953 and was a member of the 1955 class of the University of Minnesota’s graduate school in hospital administration. Until 1989 Mr. Morford owned and operated a medical administration services company in South Carolina. He was ordained in August 1988 by Christian International of Santa Rosa Beach, Florida, served on staff as student advisor for Christian International School of Theology and is a Certified Instructor to teach Christian International’s series on the prophetic gifts. Reverend Morford and his wife, Gwen have traveled to Israel several times and expect their ministry to take them back for extended periods. 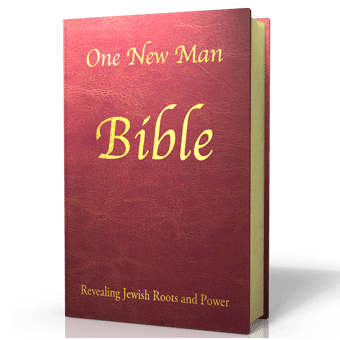 He has written three books: The Power New Testament, God’s Rhythm of Life, and This God We Serve and has been just completed a fresh edition of the Bible, The One New Man Bible, expected to be released in 2011. From 1993 through 1999, Reverend Morford studied Hebrew under Rabbi Eliezer Ben-Yehuda, grandson of the Eliezer Ben-Yehuda whose lifetime work made Modern Hebrew the national language of Israel.